Find the latest, greatest breaking news on all things Cody/Yellowstone Country, right here. Check back often so you never miss a beat of the Wild West. Find out what’s new with attractions, events and the towns that make up Park County. The Cody Stampede celebrates its 100th anniversary this year. 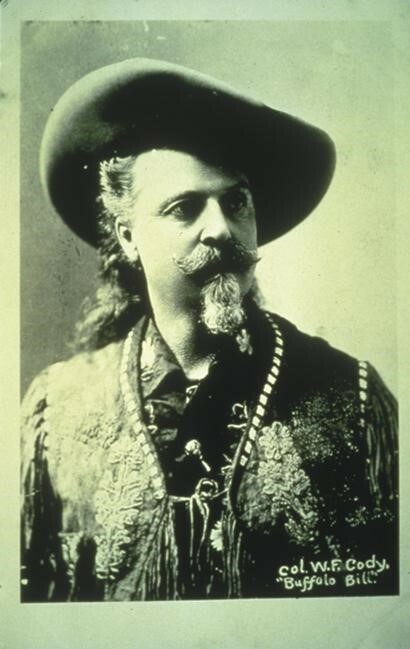 Buffalo Bill Cody was a larger-than-life character. The Cody Stampede was spearheaded by Buffalo Bill’s friends to honor his legacy after his 1917 death. A local novelist named Caroline Lockhart led a small group of town leaders in creating a general framework for the event. It initially included just nightly rodeos, but it quickly grew to include other festivities. The Cody Stampede helped gain publicity for a new road to the East Gate of Yellowstone National Park that started in Cody and is called the Buffalo Bill Scenic Byway today. The entrance is 52 miles from town, and the road meanders through a wildlife-rich Western landscape along the Shoshone River and passes stunning rock formations, numerous guest and dude ranches, the popular Sleeping Giant Ski/Zip Line Area and Pahaska Tepee, Buffalo Bill’s hunting lodge. The Cody Stampede Parade is often led by a famous Grand Marshal, and this year’s paradeleader is expected to be announced soon. Grand Marshals have included Chuck Yeager, Wilford Brimley, John Wayne and “Longmire” actors Robert Taylor and Adam Bartley. The Cody Stampede Board typically announces the year’s Grand Marshal in the spring. Rodeo tickets can be purchased online now. General admission tickets are $20 on July 1, 2 and 3, and reserved seating tickets on July 4 are $25. Pictured here with the Colonel, Caroline Lockhart led a group of townspeople to create the Cody Stampede. More than 800 rodeo contestants will be competing for a purse with more than $400,000. The Kiddies Parade – scheduled for Tuesday, July 2 at 10 a.m. – is a favorite event among locals and visitors alike. Parade-goers line Sheridan Avenue to watch the youth of the town proudly perform their way down Sheridan Ave., Cody’s main street. There are young dancers and singers, marching bands and community clubs, and they receive enthusiastic support and accolades from their elders on the sidelines. “This is a very supportive local community, and even those of us with kids who long ago left the nest make sure we’re clapping for our town’s kids,” said Wade. There are numerous free or moderately priced events including the three-day Wild West Arts Fest beginning July 2, 38th Annual Runners Stampede on July 4 and three days of parades beginning with the Kiddies Parade on July 2. Out-of-towners have a broad choice of lodging with more than 1,600 rooms, but the region’s hotels, inns, ranches and campgrounds can sell out for the event, and travelers are encouraged to book rooms soon. Home of the Great American Adventure, Cody Yellowstone is comprised of the northwestern Wyoming towns of Cody, Powell and Meeteetse as well as the valley east of Yellowstone National Park. The region is known for rodeos, authentic guest and dude ranches, world-class museums and recreational adventures that reflect the adventurous spirit of the visionaries and explorers who brought the remote region to the world’s attention. The cherrywood bar at the Irma Hotel was a gift from Queen Victoria. CODY, Wyo., March 29, 2019 – From the establishment of the world’s first national park to the creation of a once-raucous frontier town, the northwestern Wyoming destination of Cody Yellowstone has been making history for quite a long time. Authentic Western-style furniture at By Western Hands Museum & Archives. Opening this summer, this multi-faceted facility is a testament to the creations of furniture artisan Thomas Molesworth and others who skillfully created functional furniture using elements found in nature and Western life. Collections of tribal artistry at the Plains Indian Museum, one of five Buffalo Bill Center of the West museums. This acclaimed museum includes creations of many Plains peoples such as eagle feather bonnets, bear claw necklaces, buffalo hide tipis and tipi furnishings, shields, cradles, peace medals and moccasins. Historic firearms at the Cody Firearms Museum and Dug Up Gun Museum. Tracing the history of firearms, and showcasing their craftsmanship and technological innovations can reveal much of how the country – and the world – has evolved, and that’s just what visitors will experience at these two downtown museums. The Cody Firearms Museum is nearing completion of a major renovation this summer that will feature its signature Winchester Firearms Collection as well as thousands of other firearms. The Dug Up Gun Museum is the work of a passionate collector, with displays of guns in varying conditions that have been dug up from farms, valleys and battlefields around the world. Paintings of the day-to-day life of an incarceree at Heart Mountain WWII Interpretive Center. This award-winning museum opened in 2011 and includes poignant exhibits of incarcerees at the internment camp. “All You Can Carry,” the introductory film at the center, includes the paintings of Estelle Ishigo, a Caucasian woman who chose to remain at her Japanese-American husband’s side when he was imprisoned during World War II. A talented artist, Ishigo chronicled the day-to-day lives of the camp’s 14,000 residents with sketches, drawings and watercolors depicting the brutal conditions of the camp and camp life. 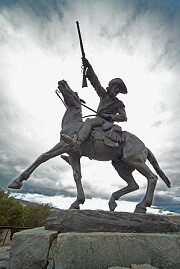 “The Scout,” a sculpture of Buffalo Bill Cody, has greeted guests of the Buffalo Bill Center of the West since 1924.
operating before Buffalo Bill Cody’s death in 1917. The visitor center’s exhibits show how the dam fulfilled the forward-thinking showman’s goal to bring a reliable water source to the Bighorn Basin. The Cherrywood bar at the Irma Hotel. In 1902, seven years after he founded the town of Cody, William F. “Buffalo Bill” Cody built the Irma Hotel on the town’s then main street – 12th Street – and named it after his youngest daughter. 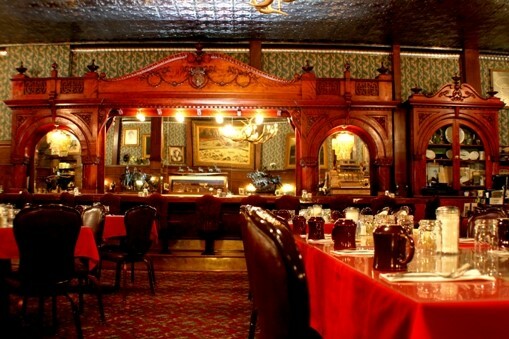 Listed on the National Register of Historic Places, the hotel’s famous room-long Cherrywood bar – still in use today in what is now the hotel dining room – was presented to Buffalo Bill by England’s Queen Victoria, who was charmed by Buffalo Bill and his Wild West Show when the company performed in London. “Buffalo Bill – The Scout” at the Buffalo Bill Center of the West. Created by famed New York sculptress Gertrude Vanderbilt Whitney, The Scout has greeted visitors to the Buffalo Bill Center of the West since 1924. The sculpture is mounted on a stone base that represents Cedar Mountain, where Buffalo Bill wished to be buried, and it was created at the behest of Caroline Lockhart, editor and publisher of the Cody Enterprise. The famous heiress funded the cost of the sculpture, and her son Cornelius later funded the creation of the Whitney Western Art Museum. Hemingway’s signature in the guest register at the Chamberlin Inn. In 1932 “Ernest Hemingway of Key West, Florida” had just completed the manuscript for Death in the Afternoon and was enjoying some time fishing the Clark’s Fork River by day and swapping stories with the locals in the Irma Bar at night. The register is displayed at the inn and open to the page containing Hemingway’s signature. And the room in which Hemingway stayed is available to overnight guests. 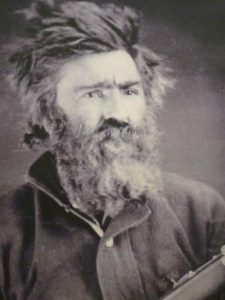 Jeremiah “Liver Eating” Johnston is buried at Old Trail Town. with a chance to shoot the guns that won the West in a safe, supervised and educational setting. Visitors can choose from a replica of an Indian Trade Musket, US Model 1795, Flintlock Musket, Colt Walker Revolver and Winchester Model 1873 Rifle and fire them in a state-of-the-art indoor shooting range. Buffalo Bill’s hunting lodge, Pahaska Teepee. Located just outside the East entrance to Yellowstone National Park, Cody brought his hunting pals – including Theodore Roosevelt and the Prince of Monaco – to this rustic lodge. 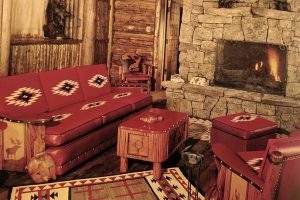 Cody was named “Long Hair” by American Indians in the region, which in their tongue was pronounced “Pahaska.” The rustic log lodge displays many gifts given to Cody by guests. Modern cabins, a restaurant and gift shop make this a great stop for travelers before they head into the park. Cabins and gravesites at Old Trail Town/Museum of the Old West. This enclave of 26 authentic frontier buildings includes one used by Butch Cassidy and his infamous Hole-in-the-Wall Gang. One of the town’s many gravesites belongs to Jeremiah “Liver Eating” Johnston – portrayed by actor Robert Redford in the 1972 film. The teller’s cage at Meeteetse Bank Museum. Butch Cassidy once lived in Meeteetse, and despite his reputation as a prolific and highly successful bank robber, he pledged not to rob the Meeteetse Bank so he and his friends would have a safe place to stash their ill-gotten cash. That bank is now the Meeteetse Bank Museum, and it still displays the original teller’s cage, vault and many other artifacts. CODY, Wyo., March 22, 2019 – It will be easier for travelers from Chicago, Denver and Salt Lake City to reach northwestern Wyoming’s Cody Yellowstone this summer, thanks to additional non-stop flights on United Airlines and Delta Airlines. Non-stop flights to and from Chicago’s O’Hare International Airport and Cody, Wyoming’s Yellowstone Regional Airport will resume this summer on United Airlines after a hiatus last year. 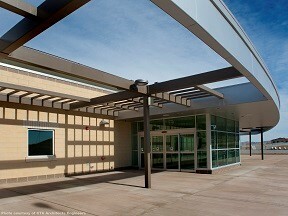 Cody’s Yellowstone Regional Airport is located minutes from town. 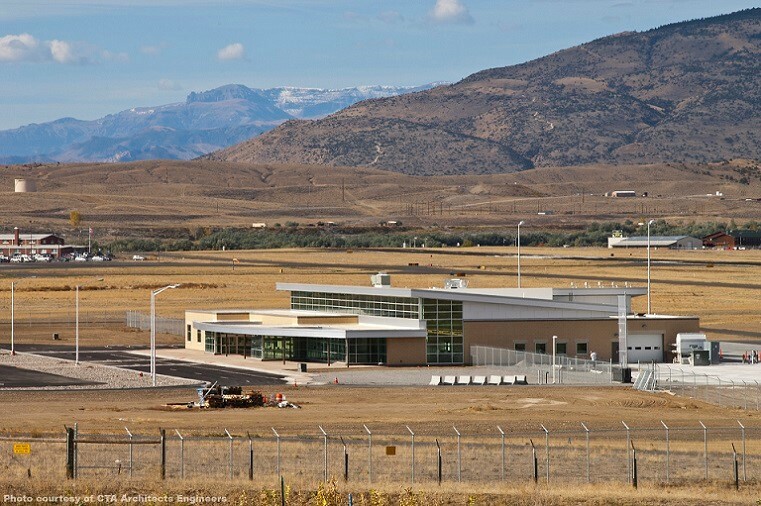 United Airlines will also add two flights to and from Cody and Denver International Airport starting June 6 for a total of four daily non-stop flights each way between the two airports. Delta Airlines will add a daily flight between Salt Lake City and Cody beginning May 24 and an additional flight in Saturdays and Sundays during the summer months. Cody Yellowstone is comprised of the northwestern Wyoming towns of Cody, Powell and Meeteetse as well as the valley east of Yellowstone National Park. 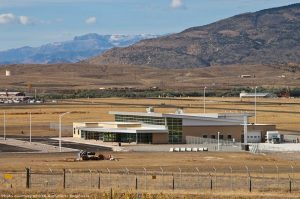 The Yellowstone Regional Airport is located just five minutes from the Cody town center, a feature that is especially appreciated by travelers on the go. Cody Yellowstone is renowned for its outdoor activities and scenery. Located in northwest Wyoming 50 miles from the East Gate of Yellowstone National Park, Cody was founded in the mid-1890s by its namesake Col. William F. “Buffalo Bill” Cody. The area offers unparalleled natural features as well as hotels, guest ranches, campgrounds, restaurants and attractions. During the days and evenings visitors enjoy a tremendous selection of activities such as Old Trail Town & Museum of the Old West, Wyoming River Trips, Dan Miller’s Cowboy Music Revue, Buffalo Bill Center of the West, Cody Firearms Experience, Heart Mountain WWII Interpretive Center and the famed Cody Nite Rodeo. Accommodations can be arranged at the inns, lodges, hotels and guest ranches offering more than 1,600 rooms. By Western Hands will open this year and showcase the region’s talented furniture artisans. CODY, Wyo., March 8, 2019 – With the addition of a new museum and theater, the completion of a major renovation on another museum, the centennial of the Cody Stampede and an array of other anniversaries, it’s going to be an eventful summer in northwestern Wyoming’s Cody Yellowstone. Wade noted that visitors to Yellowstone National Park often choose to first spend a few days in Cody to get acclimated to the area, learn about its history and natural offerings and generally get into the Western spirit. By Western Hands Museum & Archives. 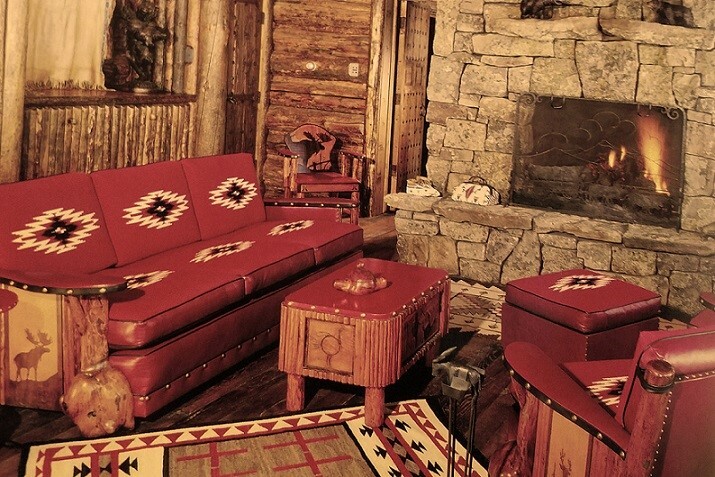 Years in the planning, this centrally located new attraction celebrates the region’s heritage of Western-style furniture-makers and artisans who incorporate natural or Western elements like gnarled logs, horse hair and elk antlers into their creations. Opening this June, By Western Hands includes an education and training center for artisans, a gallery where the latest work of Western artists is on display and available for purchase and a museum showcasing the work of early leaders in Western design such as Thomas Molesworth, whose Cody-based Shoshone Furniture Company popularized Western design beginning in the 1930s. Irma Square Theater. Dan Miller’s Cowboy Music Revue, a wildly popular and entertaining six-nights-a-week show, is celebrating its 15th anniversary of summer performances with a new home in downtown Cody. The theater is located behind the Irma Hotel, which town founder Buffalo Bill Cody built and named for his daughter. Guests have a choice of the show only or a package that includes dinner at the hotel. Cody Firearms Museum renovation. Also new this summer, the Cody Firearms Museum will complete a major renovation that will result in new exhibits of the museum’s massive collection of firearms throughout history. One of five museums at the acclaimed Buffalo Bill Center of the West, the museum is especially known for its Winchester Arms Collection. 100th anniversary of Cody Stampede. Scheduled for Sunday, July 1 through Wednesday, July 4 this year, the Cody Stampede was created when the sentimental but pragmatic leaders of Cody, Wyoming circa 1919 wanted to honor the town’s legendary founder and the Western traditions he represented, as well as to capture the interest and a few dollars from tourists who passed through town on the new “Road to Yellowstone.” The celebration, called one of the top small-town American Fourth of July celebrations in the West, includes nightly Professional Rodeo Cowboy Association (PRCA)-sanctioned rodeos, parades, free concerts, craft fairs, fireworks and much more. 95th anniversary of The Scout. Heiress and hyper-talented sculptress Gertrude Vanderbilt Whitney created this massive bronze sculpture depicting Buffalo Bill Cody on horseback. The sculpture was installed in 1924 and ultimately became the cornerstone of the Whitney Western Art Museum. 60th anniversary of the Whitney Western Art Museum. Another of the museums at the Buffalo Bill Center of the West, the Western Art Museum was created in 1959 with initial funding provided by Cornelius Vanderbilt Whitney, the son of artist Gertrude Vanderbilt Whitney. Considered one of the top Western art galleries in the country, the museum includes original paintings, sculptures and prints by top artists including Albert Bierstadt and Frederic Remington. 40th anniversary of the Plains Indian Museum. Added to the Buffalo Bill Center of the West in 1979, the Plains Indian Museum promotes the art and traditions of Plains Indians through exhibits and innovative storytelling. The museum also sponsors the popular Plains Indian Powwow staged each June in the Robbie Powwow Garden adjacent to the museum. 70th anniversary of completion of the LDS Chapel Rotunda, which houses the Cody Mural depicting the westward expansion of Mormon pioneers. Painted by artist Edward T. Grigware, the realistic painting was created off-site and then installed on the domed walls, measuring 36 feet in diameter and 18 feet high from the base to the peak of the ceiling. 115th anniversary of Pahaska Tepee, Buffalo Bill’s hunting lodge. Situated a short distance from the east entrance to Yellowstone National Park, Buffalo Bill Cody invited famous guests such as the Prince of Monaco to relax and hunt at this two-story hewn-log lodge. The lodge’s furniture and decorations have been carefully preserved, and visitors can explore the first floor for a small donation. The Cody Stampede celebrates its 100th anniversary July 1-4. 150th anniversary of the Folsom-Cook-Peterson Expedition, the first successful expedition of Yellowstone National Park. Although the 1869 expedition was unofficial, the explorers’ reports ultimately prompted the Washburn Expedition the following year, which is largely credited with bringing Yellowstone the publicity which resulted in its establishment as the world’s first national park in 1872. 110th anniversary of the creation of Park County. Established by the Wyoming Legislature in 1909, Park County is the fifth-largest county in the state of Wyoming, encompassing 3,349,120 acres, and is the ninth most populous county, with a full-time population of around 26,000. The county is largely comprised of state and federal land. 120th anniversary of the Cody Enterprise. This twice-weekly, award-winning newspaper was founded by Buffalo Bill Cody and Col. John Peake in August 1899. 150th anniversary of Wyoming granting women the right to vote, becoming the first place in the country to legalize women’s suffrage. Wyoming, nicknamed “The Equality State,” is celebrating the 1869 anniversary with events throughout the year. 60th anniversary of the Hebgen Lake earthquake near West Yellowstone, Mont.Although the epi-center of this massive, mountain-moving quake was in Montana, its impact was broadly felt in Wyoming. The earthquake killed 28 campers and changed the geothermal plumbing systems of numerous geysers and hot springs throughout Yellowstone National Park. 100th anniversary of Lt. Col. Dwight D. Eisenhower’s 72-vehicle cross-country road trip. The young Lt. Col. was charged with determining the state of the country’s roads across the country. The Wyoming portion of the trip, and discovery of abysmal conditions throughout the state (the convoy traveled at 5 miles per hour, on average), ultimately led to the development of the country’s Interstate road system, including I-80, which allows modern travelers to travel to Yellowstone in relative ease. Two Scenic byways are located between Cody and Yellowstone National Park. CODY, Wyo., Feb. 13, 2019 – For many people, winter is the time to plan their vacations. Making the most of their time off is best achieved with some advance planning, and that’s especially true for visitors to Cody Yellowstone in Northwest Wyoming. “We have been hosting guests in and around the world’s first national park for more than a century, and we have seen enough to know what works,” said Claudia Wade, director of the Park County Travel Council, the marketing arm of the region. The Cody Nite Rodeo has introduced multiple generations to the sport. Take the time off in the first place. Workers in the United States leave way too much vacation time on the table, according to the U.S. Travel Association. While people may think they are indispensable or that their employers will think they are slackers if they are not at work all the time, studies show that time off helps people be more productive and is good for their health and minds. Plan the most interesting route. With two designated Scenic Byways (Buffalo Bill and Chief Joseph) between Cody and Yellowstone National Park, travelers can enjoy forests, valleys, mountain passes and historical stops that confirm that the journey is a major part of the vacation. Budget enough time for town. It’s not uncommon for return visitors to build in extra time because they simply did not realize the first time there was so much to see and do, said Wade. History buffs might come for the Buffalo Museum at the Buffalo Bill Center of the West and not realize that they should also check out the Heart Mountain WWII Interpretive Center and the Old Trail Town & Museum of the Old West. Those who are adventure-oriented may want to enjoy hiking, mountain biking, whitewater rafting and some of the world’s best trout fishing. The areas in and and around Yellowstone feature some of the world’s best wildlife watching. Budget enough time for the park. At close to 2.2 million acres, Yellowstone is bigger than the states of Delaware and Rhode Island combined. Many people drive through the park in a single day with a stop to watch Old Faithful erupt. Wade recommends that guests stay overnight in the park or make multiple day trips. Either way, there are too many hikes to take, visitor centers to visit, wildlife to watch and thermal features to learn about in a single day. Choose your timing. Travelers who wish to experience Cody’s acclaimed Cody Nite Rodeo should schedule their vacations between June 1 and August 31. Many attractions are open year-round. Park roads are all open to wheeled vehicles in summer while most of the park is open only to over-the-snow vehicles in winter. During early spring and late fall it’s best to check on road closures. Figure out transportation. For road-trippers, getting there is part of the fun. The American West is home to historical sites and markers, expansive landscapes and an array of wildlife, which can often be viewed from pull-outs or alongside roads. Vacationers who prefer to fly will find daily flights to the Yellowstone Regional Airport, located five minutes from town. Leave some time to relax. Many people think that they need to fill up every waking moment, but that approach results in stress, fatigue and various activities all running together. Wade recommends slowing down to eat an ice cream cone, watch bald eagles and listen to local music such as Dan Miller’s Cowboy Music Revue. President Harding in Yellowstone National Park. CODY, Wyo., February 5, 2019 – U.S. presidents are like the rest of us in the sense that every now and then they want to get out of the big city and head to some place like, well,Cody Yellowstone. One of those presidents was Chester A. Arthur, who visited Yellowstone Country in 1883 with a large entourage, intent on having an authentic Western experience. Arthur was known to be bit of a dandy, and in a nod to Western style during a two-month vacation during his term, he covered his business suit with knee-length leather leggings. Arthur kept in touch with the outside world and engaged in presidential business by one daily mail courier on horseback who delivered and received Arthur’s messages. President Calvin Coolidge visited Cody on July 4, 1927 for the opening of the Buffalo Bill Museum, the first of five museums that comprise the Buffalo Bill Center of the West today. 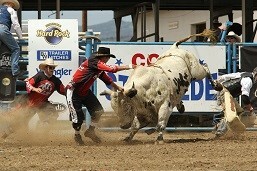 He also attended the Cody Stampede, a July 4 Cody tradition that will celebrate its 99th season this year. While in the region, Coolidge ventured into Yellowstone National Park and stayed one night in the private home owned by Harry W. Child, owner of then-concessioner Yellowstone Park Company. The Roosevelt Arch was named in honor of Theodore Roosevelt. Theodore Roosevelt was a big fan of the state, and he made several trips during his presidential tenure and returned to Wyoming to vacation after he left Washington. The robust president was far more of a natural in Western-style clothing and activities than some of his predecessors. He was a frequent visitor to Yellowstone Country, and he made his final visit to the park in 1903 during a two-week vacation. During that trip, he laid the cornerstone for the park’s Roosevelt Arch, bearing the inscription: “For the benefit and enjoyment of the people.” Although the arch is in the state of Montana at the northern entrance to Yellowstone, Wyoming celebrates the grand structure too, as most of the park is in Wyoming. Years later, Theodore’s fifth cousin Franklin took office, and he also left his mark on Yellowstone Country. Some would argue it wasn’t a positive mark, as it was Franklin Delano Roosevelt who signed Executive Order 9066 on Feb. 19, 1942. As a result, some 14,000 Japanese-Americans were incarcerated at the Heart Mountain Confinement Site during World War II. Another interesting tidbit about the publicity-conscious president: When he visited the park, he avoided the park hotels, many with multiple floors and no elevators, and instead was a guest of the lodge manager in his single-floor park home, which could better accommodate his wheelchair while at the same time keeping it from public view. President Bill and first lady Hillary Clinton took a stroll around Old Faithful Geyser in 1995. President Barack Obama and his family visited Yellowstone in 2009 and had lunch in the park’s Old Faithful Snow Lodge. The Obama family visited Old Faithful in 2009. President Jimmy Carter fished in Lake Yellowstone and then returned to the park after his presidency and dined in the employee pub at the park’s Lake Lodge. He even signed the wall of the pub, and his signature is still visible today. President George H.W. Bush visited Yellowstone in 1989 to survey the devastation of the 1988 fires. Park officials briefed the president about fire science. Bush also fished in a river near Cody and visited Pahaska Tepee, Buffalo Bill Cody’s hunting lodge. President Warren Harding visited the park in 1923, shortly before he died. Upon learning of his death, staff in the park named a geyser after him and observed a moment of silence in his honor. The Cody Stampede will celebrate its 100th anniversary next year. Scheduled for Sunday, July 1 through Wednesday, July 4, the Cody Stampede marks its 100th anniversary in 2019. The celebration includes nightly Professional Rodeo Cowboy Association (PRCA)-sanctioned rodeos, parades, free concerts, craft fairs, fireworks and much more. And there are sure to be a few surprises this year too. The Scout was unveiled 95 years ago. “Enthusiasm for the centennial of the Cody Stampede is high in our little town, and rodeo cowboys, float designers and band directors are already planning how to make their marks on the occasion,” said Claudia Wade, director of the Park County Travel Council, the marketing arm for the region that includes the towns of Cody, Powell and Meeteetse as well as the east valley of Yellowstone National Park. The centennial of the Cody Stampede is just one of several noteworthy anniversaries of events and attractions in 2019. Here are some more. 60th anniversary of the Whitney Western Art Museum. One of five museums within the world-renowned Buffalo Bill Center of the West, the Whitney Western Art Museum was created in 1959 with initial funding provided by Cornelius Vanderbilt Whitney, the son of artist Gertrude Vanderbilt Whitney. Considered one of the top Western art galleries in the country, the museum includes original paintings, sculptures and prints by top artists including Albert Bierstadt and Frederic Remington. Dan Miller’s Cowboy Music Revue has been performing in Cody for 15 years. 15th anniversary of Dan Miller’s Cowboy Music Revue. Hailing from Nashville, singer Dan Miller and his talented Empty Saddles Band stage an hour-long dinner show in downtown Cody six nights a week during the summer. 110th anniversary of the creation of Park County. Established by the Wyoming Legislature in 1909, Park County is the fifth-largest county in the state of Wyoming, encompassing 3,349,120 acres, and is the ninth most populous county, with a full-time population of around 9,500. The county is largely comprised of state and federal land. 120th anniversary of the Cody Enterprise. This twice-weekly, award-winning newspaper was founded by Buffalo Bill Cody and Col. John Peake in August 1999. 150th anniversary of Wyoming granting women the right to vote, becoming the first place in the country to legalize women’s suffrage. Wyoming, nicknamed “The Equality State,” is celebrating the 1889 anniversary with events throughout the year. The Cody Stampede features PRCA-sanctioned events. CODY, Wyo., Oct. 19, 2018 – When the Rodeo Capital of the World celebrates the 100th anniversary of the Cody Stampede Rodeo next July, two lucky people will receive airfare, accommodations, VIP rodeo tickets, activities, rental car and a side trip to the world’s first national park courtesy of the town of Cody. Cody Yellowstone is comprised of the northwestern Wyoming towns of Cody, Powell and Meeteetse as well as the valley east of Yellowstone National Park. Travelers can enter the drawing online at www.codyyellowstone.org/win/. The drawing will be held April 15. Winners will stay three nights at the Irma Hotel. Winners will arrive at the Cody Yellowstone Regional Airport July 2 and spend three nights at the historic Irma Hotel in downtown Cody. During the days they will enjoy Old Trail Town & Museum of the Old West, Wyoming River Trips, Buffalo Bill Center of the West, Cody Firearms Experience, Cody Stampede Parade, City Park Wild West Extravaganza, Heart Mountain WWII Interpretive Center and the 100th Cody Stampede Rodeo Finals. Then it is off to Yellowstone National Park for a night at the famed Lake Yellowstone Hotel before returning to Cody and flying home July 6. The Cody Stampede got its start when a group of local leaders met three years after the death of Buffalo Bill Cody to talk about how to transform the town’s small annual July 4 celebration into an event that would showcase Cody’s authentic Western dude ranches and other attractions as well as its proximity to two entrances to Yellowstone National Park. These town leaders had little idea that they would create an annual event that would be enjoyed and remembered by generations of Cody residents and visitors from around the world. The Buffalo Bill Center of the West is comprised of five museums and is affiliated with the Smithsonian. The modern Cody Stampede features four Professional Rodeo Cowboys Association (PRCA)-sanctioned Stampede Rodeos, including a Cody/Yellowstone Extreme Bulls event typically held June 30. The fun continues for the next four days with a Kiddies Parade, two Stampede Parades, daily rodeos, a 5K/10K run/walk on July 4, and the three-day Wild Extravaganza Craft Fair July 2-4. Additionally, a variety of musical performances by regional acts are held in outdoor venues throughout town. The Stampede Parades on July 3 and 4 are especially fun, with at least three marching bands from around the country parading down the town’s main street of Sheridan Avenue. The parade’s grand marshals have included well-known figures such as John Wayne, Steven Seagal, Chuck Yeager and Wilford Brimley. Buffalo Bill Cody liked and supported the work of strong women. CODY, Wyo., October 12, 2018 – “If a woman can do the same work that a man can do and do it just as well, she should have the same pay.” Those words were uttered 150 years ago by Col. William F. “Buffalo Bill” Cody, showman, scout, hunter and tourism visionary. To many in the West – and all over the world – they were shocking words. When Cody said them, women in the United States and its territories couldn’t vote, own property or control their own earnings. Formal education was largely discouraged, and respectable women in the United States were expected to marry, produce children and run a household. That was pretty much it. 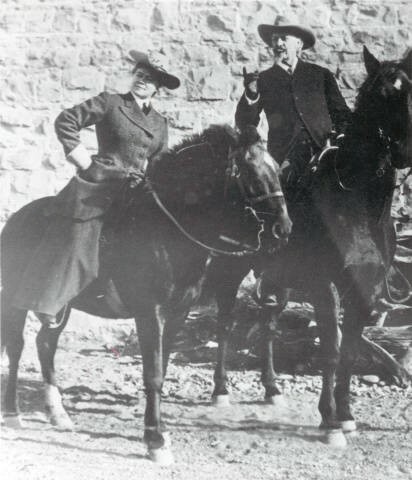 Buffalo Bill Cody and community leader Caroline Lockhart. Just one year later, in 1869, the Territory of Wyoming became the first place in the country to grant women the right to vote. One by one, states followed Wyoming’s lead, but it would be another 51 years – three years after Buffalo Bill Cody’s death – before the 19th Amendment was passed, granting all women the right to vote. Cody would have been pleased. The female employees of the Wild West Show – and there were many, including stars like Annie Oakley and Calamity Jane as well as trick sidesaddle riders, sharpshooters, actors and support staff – were paid the same as their male counterparts. Female employees of later ventures, such as Agnes Chamberlin, editor of the newspaper he founded, the Cody Enterprise, were also treated equally. Annie Oakley was an integral part of the Wild West Show. Historians believe that much of his progressive thinking about women’s rights was due to the influence of his mother Mary Ann, who was widowed when he was 11 and died when he was 18. While encouraging self-sufficiency – William went to work quickly to help support his mother and sisters – she also preached fairness. Teenage recklessness perhaps led him to join the Jayhawkers, a violent, militant gang that sought out fights with pro-slavery groups. Mary Ann forced him to leave the thuggish group, and a short time later, many of his one-time pals were killed in a raid. Not surprisingly, Cody was also an advocate for fair treatment of American Indians and other ethnic and racial groups. Given the thinking of its founder, the town of Cody has been shaped by many strong women since it was incorporated in 1896. Agnes Chamberlin went on to become owner and proprietress of the Chamberlin Inn, now a centrally located boutique hotel. Novelist and community leader Caroline Lockhart organized and presided over the Cody Stampede Rodeo, which celebrates its 100th anniversary in 2019. And philanthropist Nancy-Carroll Draper promoted the establishment of the Draper Natural History Museum, one of five museums that comprise the renowned Buffalo Bill Center of the West. Nicknamed “The Equality State,” the Wyoming Tourism Office is planning a line-up of events and celebrations next year to mark the anniversary of Wyoming women’s suffrage including women-only trips, podcasts, photo exhibitions and more. 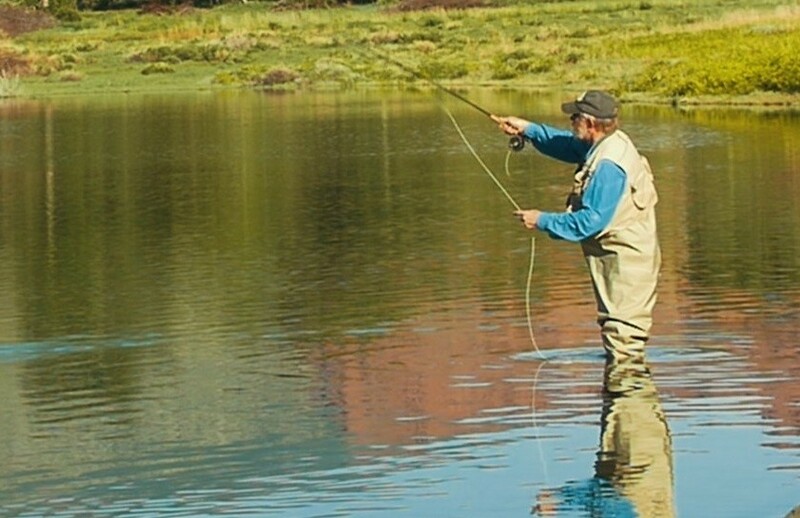 The region is renowned for its trout fishing. CODY, Wyo., August 24, 2018– When fall comes to Cody Yellowstone Country, celebrations of the season take many forms. Artists paint fall landscapes. Cowboy crooners sing about the season’s beauty. Anglers cast about for perfect fishing spots. Bears fatten up on pine nuts. And rutting elk share their amorous intentions with the world by emitting wild, hair-raising bugles. Buffalo Bill Cody’s influence is still evident throughout the region. Western art. The most prestigious event of the year in Cody is Rendezvous Royale, a multi-day celebration of authentic Western art Sept. 17-22. Highlights of the week include online and live art auctions, workshops, showcases and a black-tie gala. Wildlife. The forests, river valleys, mountains and canyons of Yellowstone Country are home to bears, elk, wolves, moose, bighorn sheep, bison, pronghorn, deer, eagles, river otters and many other mammals, birds and other species. Blue-ribbon trout fishing. An abundance of top-flight fishing spots including North and South Forks of the Shoshone River and rivers and streams in Yellowstone National Park. Local fishing outfitters offer guides, maps and advice. Fall bounty. Local and sustainable food offerings have continued to expand in Cody, and several restaurants and stores offer beef and bison from northwestern Wyoming ranchers and farmers as well as local produce, beer and wine. Hiking. Yellowstone Country’s fall beauty can also be appreciated along its hiking trails, which are numerous throughout the region. Local favorites include the Bluebird Trail on Bureau of Land Management land five miles from town. Cedar Mountain Trail begins with a strenuous uphill climb, and hikers are rewarded with spectacular views from the summit. The Prickly Pear Trail is a paved walking trail that circles two lakes. Rock climbing. The region is well-suited to climbing, with porous rock creating drainages and rock formations that appeal to climbers of all abilities. Conditions are typically good for rock climbing through October. Local outfitters lead classes and rock-climbing expeditions throughout the region. Driving. Yellowstone Country road-tripping in the fall is a memorable way to enjoy fall color, with five scenic drives leading into Cody that take travelers past some of Wyoming’s most breathtaking valleys, mountain passes, rivers and forests. History. The Heart Mountain WWII Interpretive Center at the site of the Heart Mountain Internment Camp offers a glimpse of the lives of some 14,000 Japanese-American citizens who were incarcerated there during World War II. Opened in August 2011, the center explores that difficult period of the country’s history with thoughtful exhibits that encourage visitors to ask the question “Could this happen today?”. Dan Miller entertains audiences with his Cowboy Music Revue. More history. 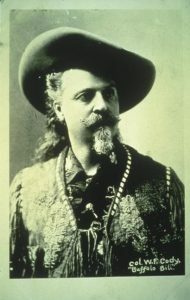 The storied life of the town’s founder, Colonel William Frederick Cody, is presented in the Buffalo Bill Museum, one of five museums that comprise the Buffalo Bill Center of the West. There are also museums dedicated to firearms, fine Western Art, the Plains Indians of the region and the Greater Yellowstone ecosystem. Music. Dan Miller’s Cowboy Music Revue continues its performances of cowboy music, poetry and comedy Monday through Saturday night through Sept 29. The Cody Cattle Company provides a casual evening at picnic tables with music and a chuckwagon dinner through Sept. 18. Tours. The Cody Trolley Tours’ “Best of the West” tour is offered through Sept. 22. This informative one-hour tour covers 22 miles and helps orient visitors to where things are and what they might like to go back to see.